Infections can occur on the skin of the outer ear, in the ear canal (otitis externa), behind the tympanic membrane (otitis media), or in the inner ear (labyrinthitis). If you have an ear infection you may be experiencing any of the following symptoms: pain, drainage from the ear, reduced hearing or muffled feeling in the ear, ringing in the ear, or dizziness. 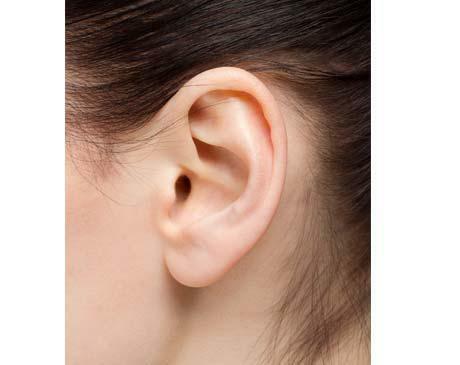 Our physicians will examine your ear and may need to clean any infectious debris or drainage using a microscope and microinstruments. Sometimes a culture of the drainage will be sent to the laboratory. If the ear canal has swollen shut, a small sponge can be placed in the canal to help absorb ear drops and speed recovery. Depending on the diagnosis, you may be prescribed oral antibiotics or antibiotic ear drops. Some infections are caused by fungus and in those cases, antibiotics are not helpful, so different medications will be used. Serious infections involving the bone behind the ear (mastoiditis) or skull base (skull base osteomyelitis) may require treatment in the hospital or operating room. For recurrent otitis media placement of PE tubes into the ear drum can facilitate treatment and prevent recurrent infections. This treatment is common in children but may also be performed in adults. Many adults can have this treatment performed in the office under topical anesthesia, taking only minutes to perform.